The Tennessee Highway Patrol is preparing for tens of thousands of music fans to descend on Tennessee this weekend. The Bonnaroo Music and Arts Festival takes place on a farm just off exit 111 on Interstate 24 in Manchester, about 65 miles southeast of Nashville. 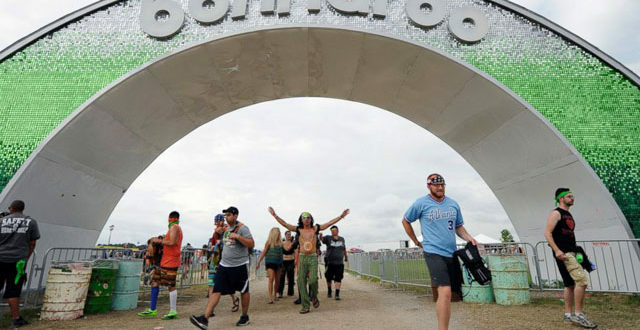 Bonnaroo’s gates open Wednesday, June 7 at 8 p.m. with the festival lasting from Thursday, June 8 until Sunday, June 11. The THP said the gates are opening earlier to allow more time for vehicles to enter the campgrounds. Troopers will be on the job 24 hours a day to ensure the roads stay safe, patrolling both the ground and air. Last year during Bonnaroo 2016, troopers logged nearly 6,900 man-hours, worked 13 traffic crashes (1 fatal, 2 injury, and 10 property damage crashes), and wrote 626 citations and issued 1 warning. Their main goal is keep traffic on Interstate 24 flowing, using exit 111 as the main festival exit. Exits 97, 105, and 112 are alternate exits if traffic congestion occurs. TDOT says there will no construction-related road closures near Bonnaroo from June 7 until June 12, and the department will post messages to warn drivers of delays. Festival traffic will be kept in the right lane or on the shoulder of the interstate, allowing thru-traffic to continue unimpeded.